Lots of parking for guests. Great location for walking locally and jumping on freeway. The hotel manager, Tag, was wonderful and attentive. Room was very clean and quiet. Excellent location. Older building, but nice, spacious suites. Staff were very friendly and efficient. Kitchen and dining and living space were excellent, just needed an upgrade in comfortable seating. Gave us an upgrade to 2-bdrm, 2-bath without charging us more. Underground parking was secure. The location and staff were really good. Beds were comfortable. Room had lots of space. The staff were excellent and offered us an upgrade when we checked in for a very modest increase. Bed was super comfy. 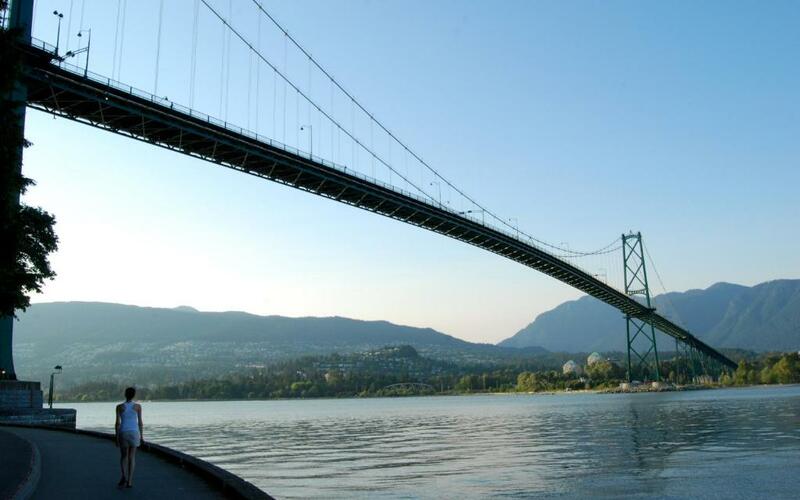 We love this location in Vancouver, it is much quieter than downtown and is walking distance to the most amazing Safeway for self-contained cooking, lots of great coffee shops and restaurants, Stanley Park and English Bay. We also walked to the ferry which took us over to Granville Island and then around to Science world. The building is very retro - the kids loved the old fashioned lift. The room condition was good/clean/and comfortable for the most part, but passage between the foot of bed and wall was very tight. Kitchen was fully adequate and supplied amenities were appreciated. Front desk help was very friendly and responsive. The man who checked us in was very pleasant and helpful. He provided us with a map and gave us general directions and recommendations. When we got into the room, I was blown away. It was spacious, clean, and I couldn't have been happier with the overall quality. The bed was just right and the bathrooms were clean. While it's not a five-star hotel by any stretch, for the purpose of a comfortable and enjoyable getaway this was perfect. Great customer service, cute apartment. Noisy neighbours were silenced immediately. Would stay again. Fantastic location, very spacious suite, clean, good basic kitchen facilities. Everything was there in the suite and it was all clean. Also liked that your place uses old things and they all worked and were and were clean. 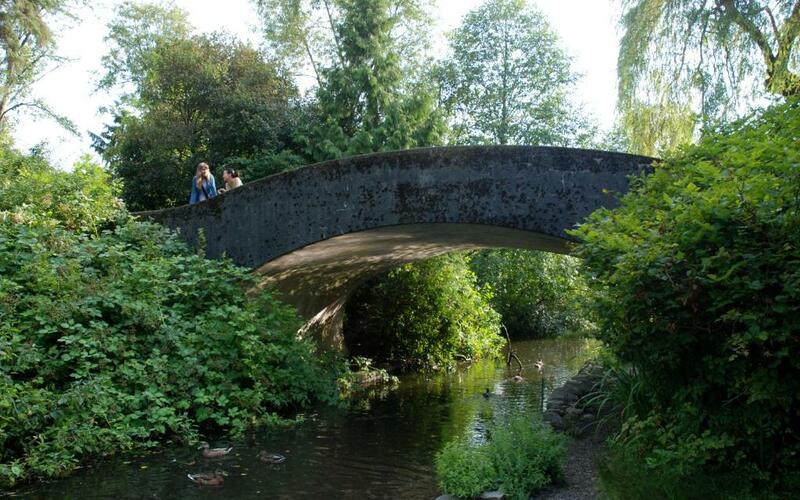 Lock in a great price for Rosellen Suites at Stanley Park – rated 8.6 by recent guests! Rosellen Suites at Stanley Park This rating is a reflection of how the property compares to the industry standard when it comes to price, facilities and services available. It's based on a self-evaluation by the property. Use this rating to help choose your stay! One of our best sellers in Vancouver! 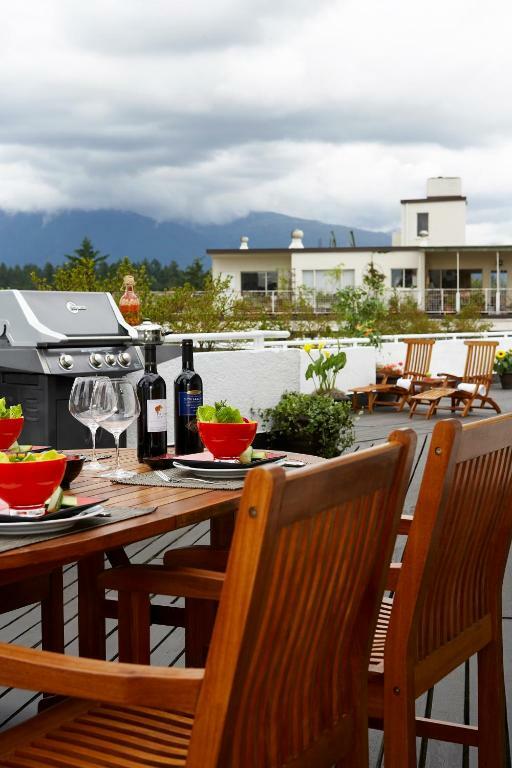 Nestled in Vancouver's West End and 500 feet from Stanley Park, this all-suite hotel offers fully-equipped kitchens. It is within 1.2 mi from the Vancouver Aquarium and Vancouver Convention Center. Free Wi-Fi is included. A cable HDTV with complimentary movie channels is featured in suites at Rosellen Suites at Stanley Park. Spacious suites offer separate living and dining areas. 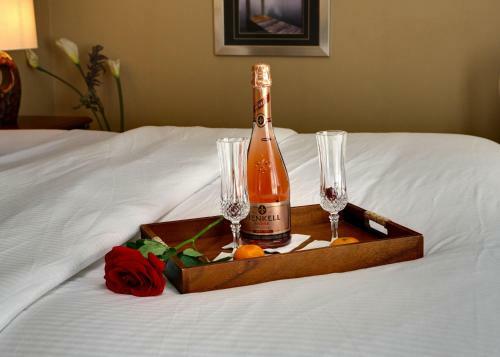 A welcome basket with water, coffee/tea and popcorn is also provided at no additional cost. Laundry facilities are offered on site at the pet-friendly Rosellen Suites. Passes to the local fitness center and swimming pool are provided. A nonsmoking environment provides additional comfort. English Bay Beach is 2,450 feet from this hotel. BC Place is only 10 minutes' drive from the property. This property also has one of the top-rated locations in Vancouver! Guests are happier about it compared to other properties in the area. 뀐 Located in the real heart of Vancouver, this property has an excellent location score of 9.3! 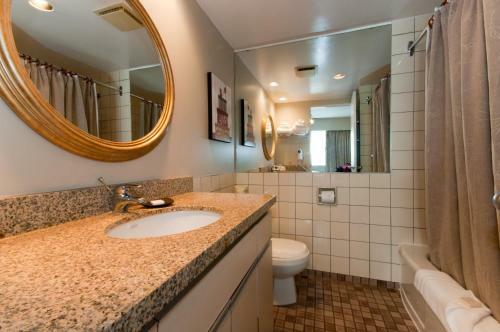 When would you like to stay at Rosellen Suites at Stanley Park? Boasting a fully equipped kitchen, this spacious suite offers a lounge with cable HDTV. Free Wi-Fi is provided. Please note, bedding configuration is based on availability. Spacious 2-bedroom suite features 1 bathroom and full kitchen facilities. 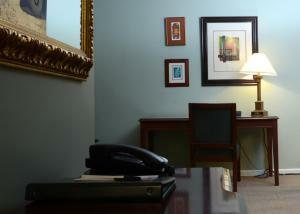 A comfortable lounge offers a cable HDTV and a desk. Free Wi-Fi is provided. 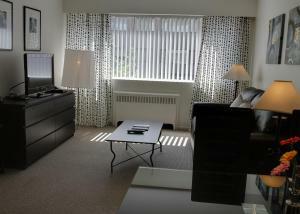 Very spacious 2-bedroom suite features full kitchen facilities and 2 bathrooms. A seating area offers a cable HDTV. Free Wi-Fi is provided. 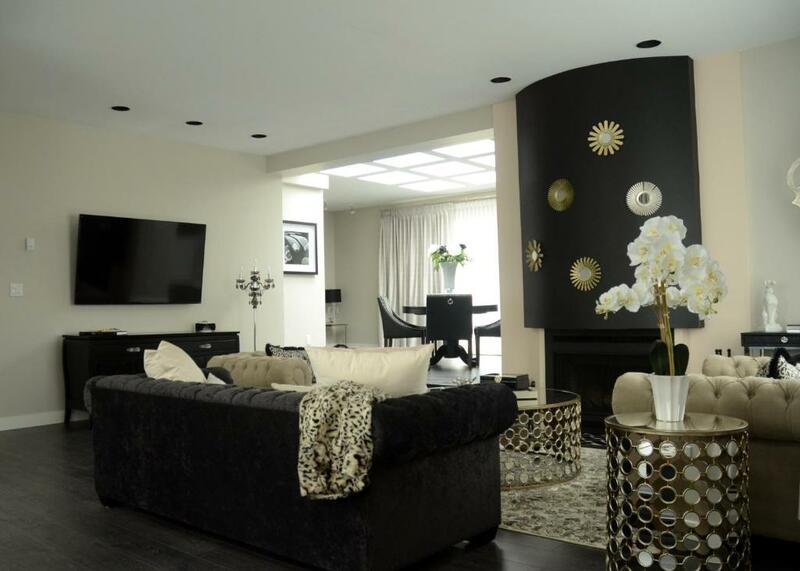 This 2 bedroom suite, also known as the Katharine Hepburn Penthouse Suite, features 2 bathrooms, a fully equipped kitchen, dining area, bar and game area. A spacious living room offers a wood-burning fireplace and a 65" Smart TV. 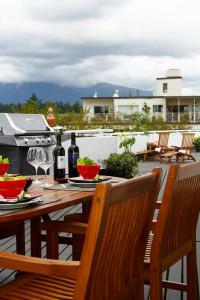 The deck offers a barbecue and features views of the mountains. Free WiFi is provided. This suite features a fully equipped kitchen, 1 queen bed in the bedroom and 1 queen sofa bed in the living room. Bed types may vary and bed type preference cannot be guaranteed as suites are allocated upon arrival based on availability. Please note that special requests are not accepted for this suite type. Please note that a maximum of 4 guests are allowed to stay in this suite. One of the most unique aspects in making Rosellen Suites at Stanley Park your Vancouver home is that the small team of trained hospitality professionals that serve you are from all over the world and each recognizes the importance of catering to the individual personalities and preferences that you may have. We look forward to welcoming you home soon! Area Info – This neighborhood is a great choice for travelers interested in walking, food and shopping – Check location Excellent location – show map Guests loved walking around the neighborhood! House Rules Rosellen Suites at Stanley Park takes special requests – add in the next step! Up to two children under 12 years are charged CAD 20 per night when using existing beds. Rosellen Suites at Stanley Park accepts these cards and reserves the right to temporarily hold an amount prior to arrival. Please note this property does not accept 3rd party billing. Cardholder must be present at check in. No reservation name changes will be accepted after the time of booking. Please note, there is a one night penalty for early check-outs. Sofa beds were rather uncomfortable as sofas. Bed mattresses also were rather hard. Underground parking was rather tight and cramped also. Costs seemed high, but maybe normal for the area. Parking was inconvenient, but safe, once one learned the ropes and figured out how to negotiate the passage. Wall heaters were rather noisy when on. An armchair with good lighting would have been nice. The bathroom was too small and no counter space. Moths had eaten through the curtains so the sun shined through in the morning. The location cannot be beat and the staff are wonderful! A lot of space. Incredibly convenient walking distance to the important locations. Wonderfully quiet. All round excellent experience.... location, spacious suite, clean and easy checkin. We would not hesitate to come again! Even though there was an emergency number to call at night, nobody was on the premises. Nothing happened but I wondered about that seeing as we are seniors and more cautious these days. The location was terrific. Not only was it a block from our son's home, it was on the edge of Stanley Park and you could be inside the park in 5 minutes. I walked around Lost Lagoon (about 1.5 km) and was back to the hotel again inside an hour. There was nothing I didn’t like. The suite was as I expected and hoped. Ideal location near Stanley Park, grocery store and restaurants. Spacious, comfortable suite with everything we needed. Friendly, helpful staff. The staff was very kind, knowledgeable and accommodating. The room itself was well laid out, with a very well stocked kitchenette and plenty of room for the little ones. There was parking at the hotel that you access through a garage door in the back. The parking is $25 daily, which seems on point for secured parking in the city. I was not aware that the management/reception desk would be closed when we arrived (about 9 pm) I followed other guests in when they arrived and found a wall phone with a posted phone number to contact the manager. This is a very old apartment building and the sign on the lawn indicates that demolition is proposed for redevelopment. Quiet area within a couple of blocks of Denman street where there is lots of restaurants, pubs, shops etc. We were in unit 304, a one bedroom apartment. The staff were very helpful and pleasant. The unit was very clean and comfortable. Wifi worked well and TV was good. The place isn’t like the pictures maybe you guys should actually post pictures of how small the rooms are I feel like I’m sleeping in a closet for 400$ a night and one more thing the hallway is nicer then the room it self how does that make sense..